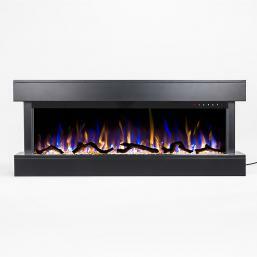 The AudioFlare™ is a new concept in electric fireplaces, combining sound and 3 color flame with quality. Plus, the Bluetooth speaker creates a great personal space for relaxing, right in front of the realistic flame while your favorite tunes play along. The AudioFlare became popular with customers who wanted an electric fireplace with sound. We realized that the stainless steel finish will not work will all home decor, Touchstone's response to this is the AudioFlare Black Glass. 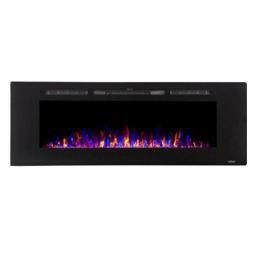 The AudioFlare Black Glass features a Black front panel that offers a modern look, making the fireplace adaptive enough to place among any existing home decor. The black glass face of The AudioFlare™ is modern and adaptive to any existing home decor. 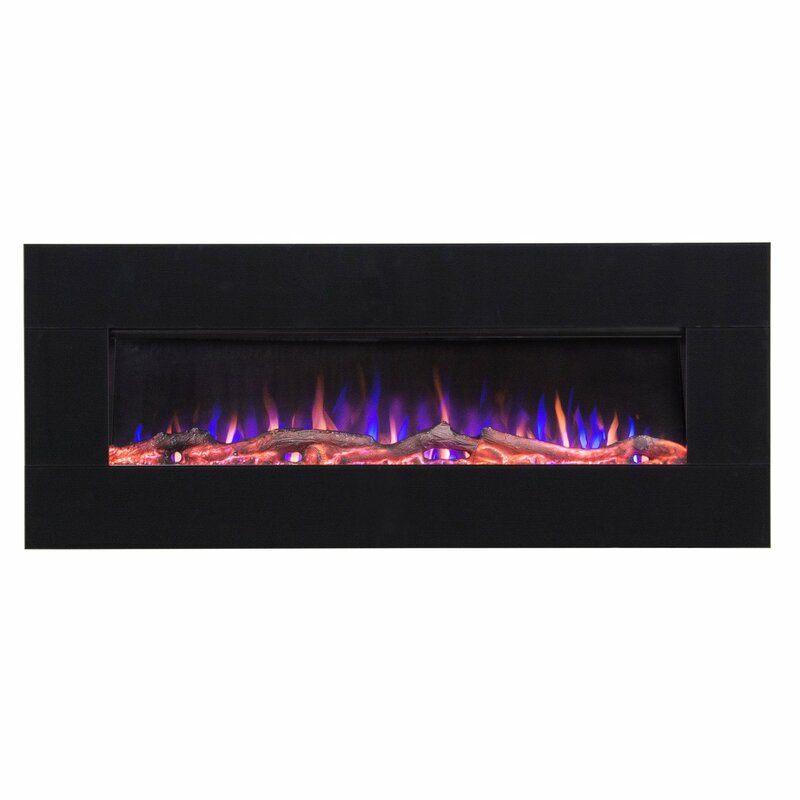 The display makes this fireplace a great fit for a kitchen, bedroom, lounge or more contemporary designed room, and it is a perfect accent to the blue flame setting. The fireplace itself can also be customized to use faux logs, or crystals that allows you to change the atmosphere of the room. The surface is easy to clean and maintain, and comes off the fireplace easily to assist with installation. The unique flameset of The AudioFlare™ is a three flame color design. The flames are blue and yellow/orange, and can be combined for a 3rd appearance. 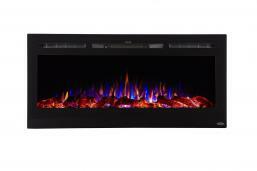 Plus The AudioFlare™ comes with a crystal hearth, to complement the modern black glass frame. 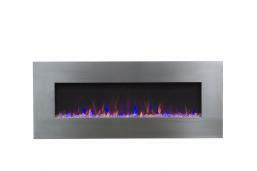 Your friends will think it is a gas fireplace. Like all our popular Sideline models, The AudioFlare™ has 5 flame intensity settings, from a mellow ember to a full flame display.